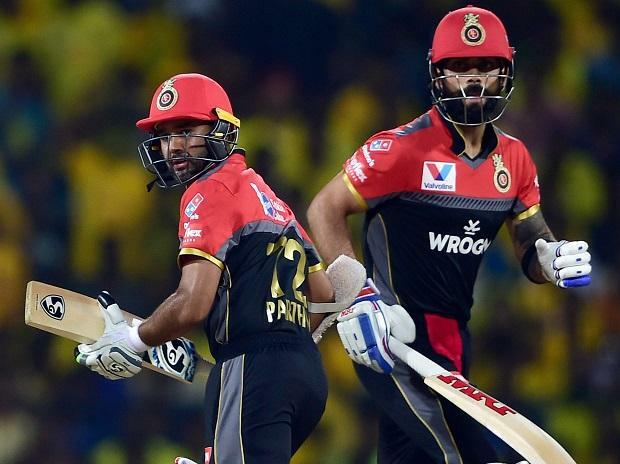 Royal Challenger Bangalore are definitely feeling "under the pump" after four straight losses admitted opener Parthiv Patel but said they actually do not deserve to be in such an embarrassing situation. "We can't shy away from saying that we are under the pump, that's definitely the case, there is no doubt about it. However, we are quite positive about the team. The kind of team we have, we don't deserve to have lost four games in a row," said Parthiv ahead their next match against Kolkata Knight Riders. Skipper Virat Kohli and South African AB de Villiers have not set the field on fire as yet against all expectations. They are approaching their respective milestones in Twenty20 but Parthiv said personal achievements do not matter any player in their side. Kohli needs another 17 runs to complete 8,000 runs in T20 and De Villiers is 15 short of becoming the second highest T20 run-scorer for RCB. The South African has 3,406 runs under his belt. "I think more than anything, Virat and AB will try and score big. AB had a good game against Mumbai here and Virat got a 40 as well in the same game. They set very high standards and that is the reason why they are talked about," he said. "Personally knowing Virat and AB, milestones do not matters to them. Many players including the captain, focus on winning matches rather than reaching their milestones." On him not getting a steady opening partner yet, Parthiv said it doesn't worry him much because everyone knows their role. "Personally, I have played for so many teams and played with so many openers, it doesn't matter that much to me. I have played a lot with Virat and with Moeen together. I know what my role is and it doesn't worry me too much. Everyone knows their role. It's not like suddenly we decide that someone is opening," he said. On his form, Parthiv said he is happy with his performance so far, but individual performances do not count much. "I am happy with my performance, but individual performances do not matter as much. Every time I get an opportunity to play, I try to perform to the best of my ability," he said.